The author, a barrister and international environmental lawyer, advocates a new approach to preventing the destruction of our planet. Higgins sets out the evidence to demonstrate how existing laws have bestowed upon corporations silent rights which take precedence over environmental concerns and she argues that nothing less than new international law will ensure that the enjoyment of those rights is subject to reciprocal responsibilities, duties and obligations towards future generations and our habitat. Solving the problem at national level will never work – businesses will simply move elsewhere to continue business as usual. To change the rules of the game, Higgins advocates a new crime, of Ecocide to prevent the ‘extensive damage, destruction to or loss of ecosystems’. There are already four international Crimes Against Peace; now a 5th Crime Against Peace is ready to be put in place. 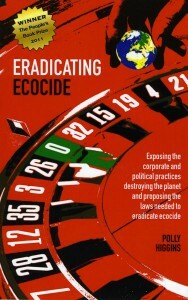 Eradicating Ecocide: laws and governance to prevent the destruction of our planet, £17.95, available from your best local independent bookstore. 2nd Edition (2015) now out. You can buy online here. Earth is our Business takes forward Polly Higgins’ first book, Eradicating Ecocide. This book proposes new Earth law, and it advocates a new form of leadership. One which places the health and well-being of people and planet first. 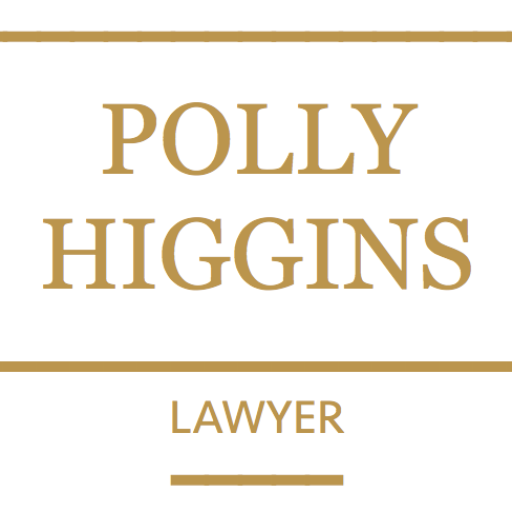 Polly Higgins shows how law can provide the tools and be a bridge to a new way of doing business. Earth, she says, is the business of us all – not just the exclusive preserve of the executives of the world’s top corporations. 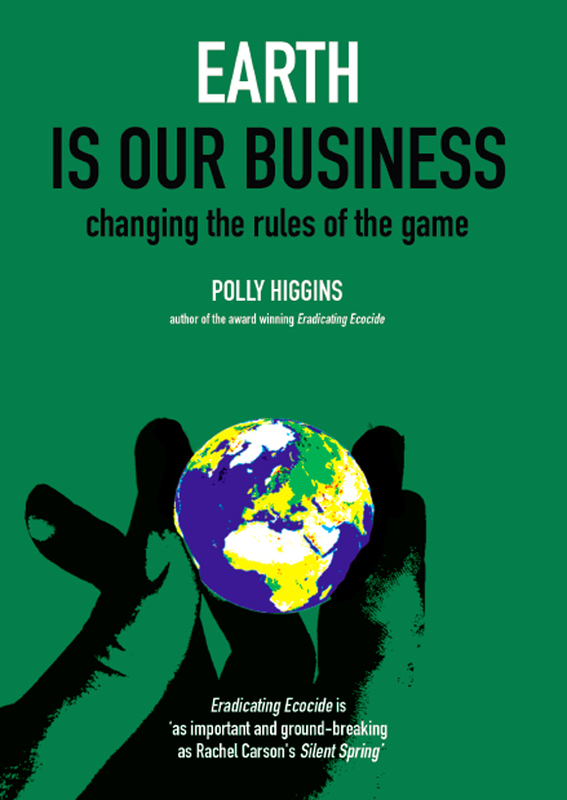 Earth is our Business: changing the rules of the game, £14.95, available from your best local independent bookstore. You can buy online here. Polly has also contributed chapters to a number of books, including Ecological Approaches to Environmental Law, edited by Professor Klaus Bosselmann; Exploring Wild Law: the philosophy of Earth Jurisprudence, edited by Peter Burdon; and Small World, Big Ideas edited by Satish Kumar. Polly also contributes to legal and non-legal, academic and non-academic publications including Seeding Intrinsic Values: how a law of Ecocide will shift our Consciousness. You can read Polly’s Open Letter to all Activists to Think Big and various articles in Resurgence magazine. Earth is our Business is under a Creative Commons Attribution-NonCommercial 4.0 International License. At the moment Polly’s books are printed on Forest Stewardship Certified paper, however as soon as it is possible all books shall be printed on 100% post-consumer waste recycled paper.